Welcome Employers! Click here if you’re new to Dartmouth Recruiting. 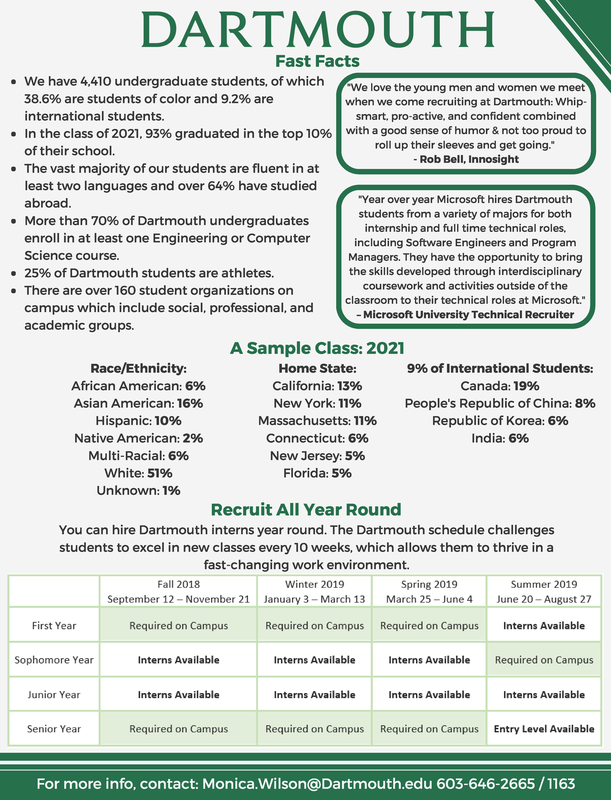 If you have any questions, contact Monica Wilson at Monica.Wilson@dartmouth.edu or 603-646-2665.